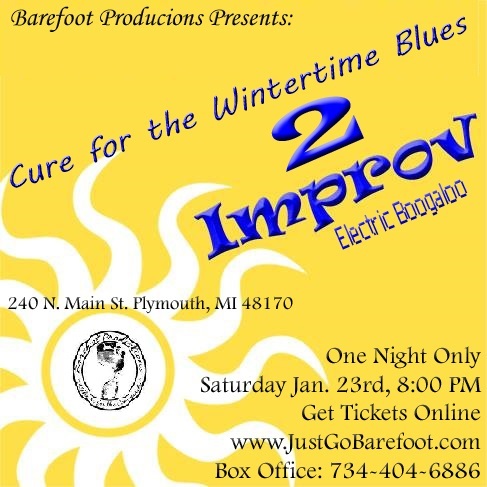 The Cure for the Wintertime Blues 2: Electric Bugaloo. Don’t miss this one night only original improv, made up on the spot from suggestions taken from you, our audience! Get your tickets NOW before they're gone!